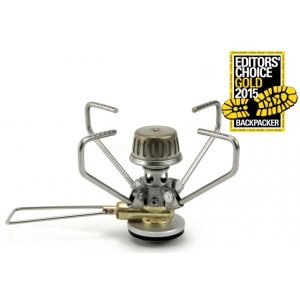 Great three-season backpacking stove with exceptional simmer control. New model is called GigaPower2, essentially the same stove. It's very well made, reliable, and lightweight. Setup: Easy to unfold legs and screw onto fuel canister. Ignition: Auto-ignitor is reliable and easy to spark. Flame Control: Great simmer control. Cooking: Not as fast to boil as in integrated stove, about 3-4 minutes for 3/4 liter. Wind Resistance: I highly recommend the matching windscreen. It's like a small dish with slot for the legs to fit through and a hole in the center for the stove. Very effective in windy conditions. It keeps the stove from blowing out by trapping the flame between the bottom of the pot or pan. 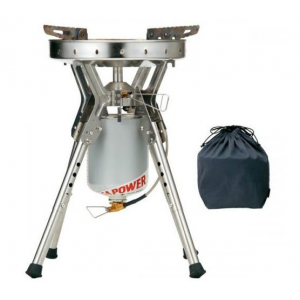 Stability: Four legs are more stable than three legged stoves, holds small pan and pot easily. 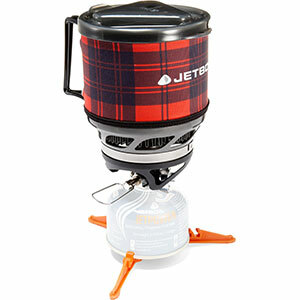 Conditions: Three-season backpacking, I wouldn't use this in snow because the stove attached to the top of the canister. You can't invert the can and use it. 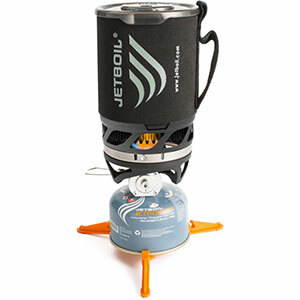 For winter camping (melting snow), I use a liquid fueled Whisperlite. Highly recommended to beginner and seasoned backpackers alike. Putting the canister in a dish of water (cold is fine) is how I use canister stoves in winter. No need to invert the canister that way. I bought one of these in a package deal off of eBay I got for an awesome price. I have used it once on a weekend trip and it worked very nicely. 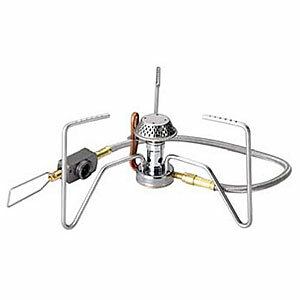 I have used many different stoves in the past white gas, propane and alcohol in different shapes and sizes. The only bad point to this stove is I have came across is fuel it is a little pricey and heavy but not too bad. The good points are its light weight, adjustable flame, optional wind screen, small and compact. There are a few more I didn’t cove but I got the basics. The auto light is nice but I would also pack a lighter or matches just in case and I would definitely get the optional windscreen its worth the extra few bucks. Bottom line this is a good product that I would definitely recommend to a friend. The stove worked great! Light, easy set-up and heated the water quickly. I would advise getting the wind shield. A little extra weight but helps in the performance. I recently took a trip to Mt. Whitney. At trail camp (12,500ft) the stove worked flawlessly. I tried the stove with and without the wind screen and found that the windscreen was needed most of the time. The auto start worked well yet is hard to see in daylight. On the summit (14,497ft) the stove still performed very well with no issues. Overall, it met all of my expectations and performed well. I would recommend this stove to anyone who is looking for a lightweight stove with good performance. 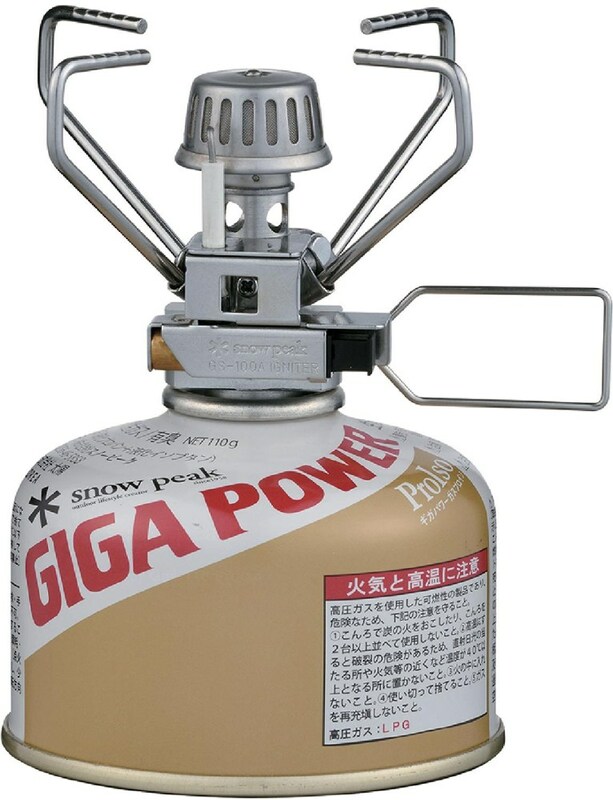 The GigaPower Stove, Titanium, Auto has been discontinued. 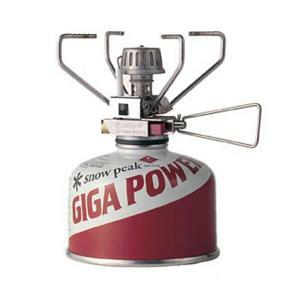 The Snow Peak GigaPower Stove, Titanium, Auto is not available from the stores we monitor. It was last seen June 10, 2010	at Powderfin.com.